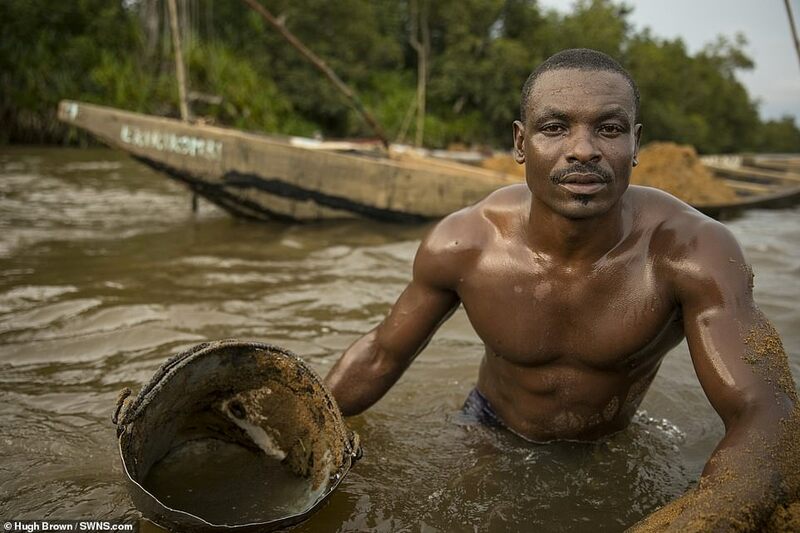 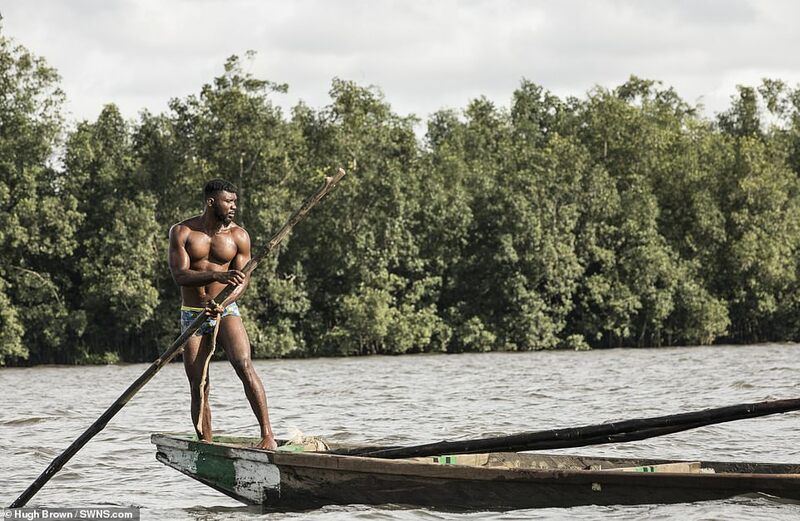 Photos of Cameroon's muscular miners bring attention to the risky jobs men do! 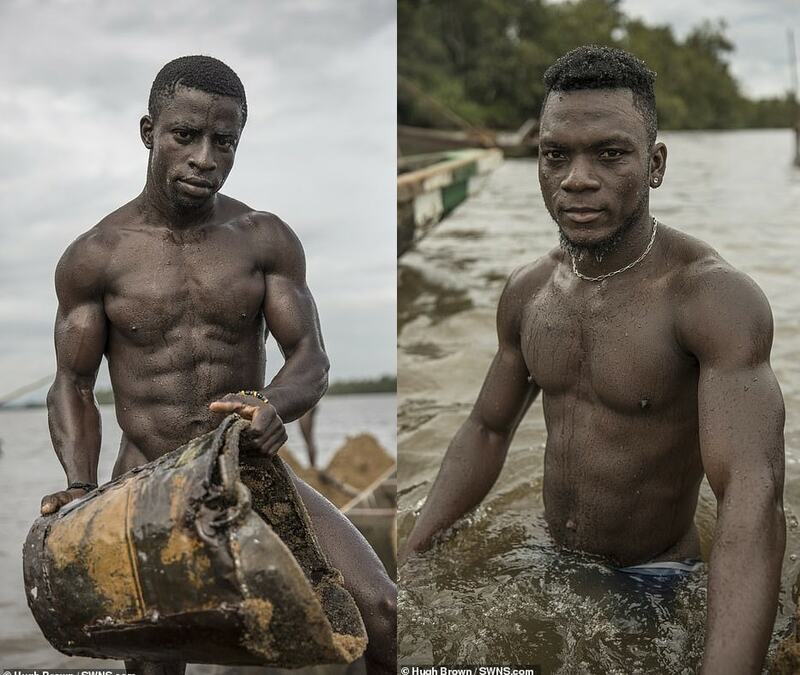 Clearly, there's no need going to the gym if you work as a miner. Captured by photographer Hugh Brown, these incredible photographs show the well sculpted bodies of Cameroonian divers who do one of the most dangerous jobs on earth. 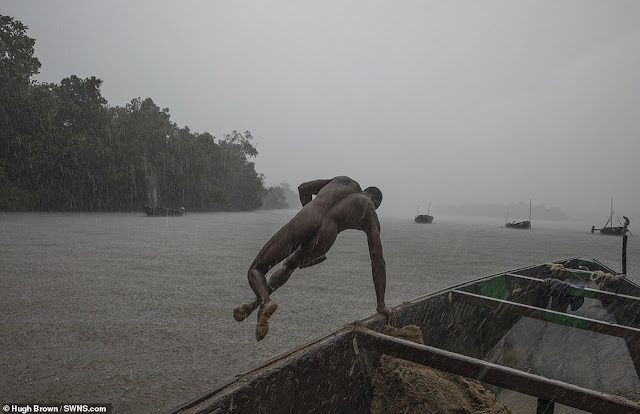 The buff divers plunge deep into a fast-flowing river to scoop up sand from the bottom 20 feet below, regularly risking their lives to collect sand for the building industry. Artisanal mining is carried out by subsistence miners who are not officially employed by a company, but work independently. 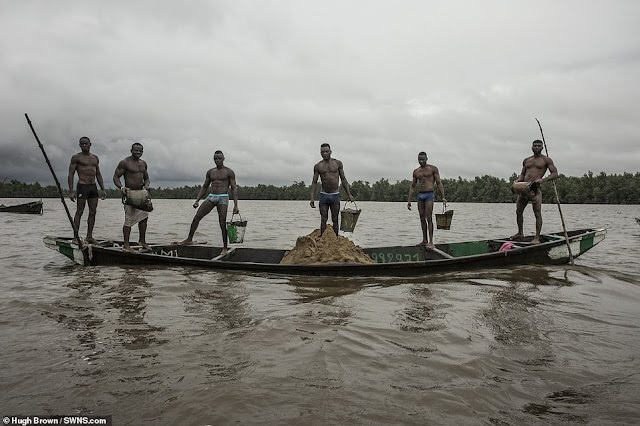 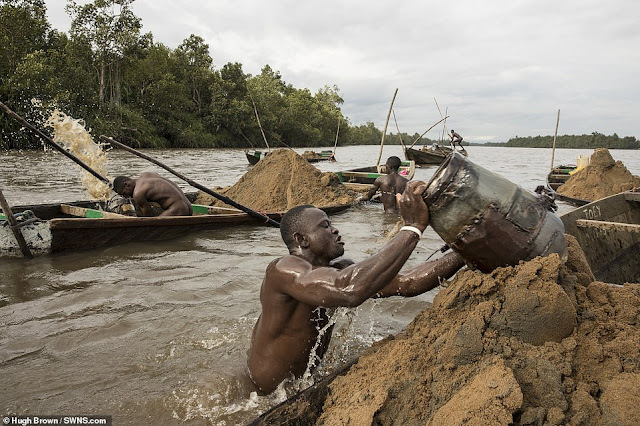 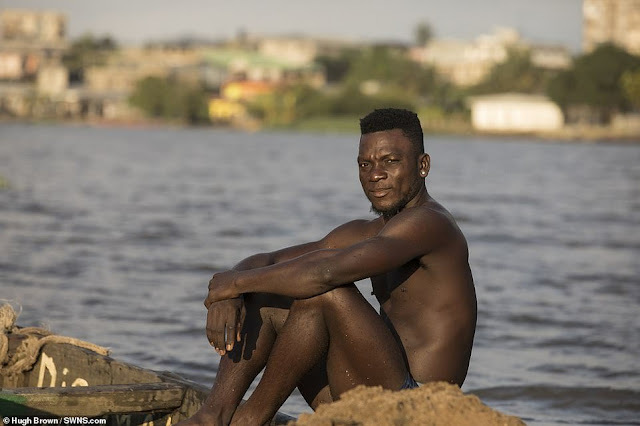 These muscular African tribesmen work by collecting huge quantities of wet sand at the bottom of the Wouri River each time they dive to the bottom. 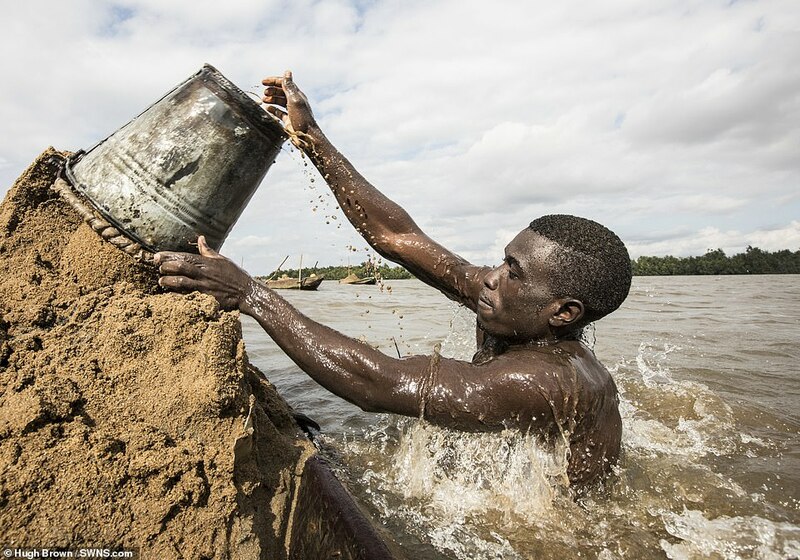 The divers use three kilogram steel buckets (as shown in the pictures) with holes in the bottom to collect sand from the bottom of the river. On reaching the river bottom they scoop up around 15 kilos of wet sand and then use a pole to launch themselves back up to the surface and tip the river-sand into the pirogue. 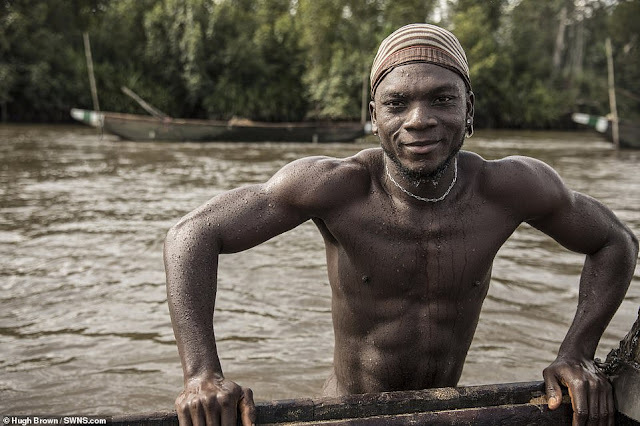 Drowning is the most major risk associated with the job and many casualties are recorded each year. 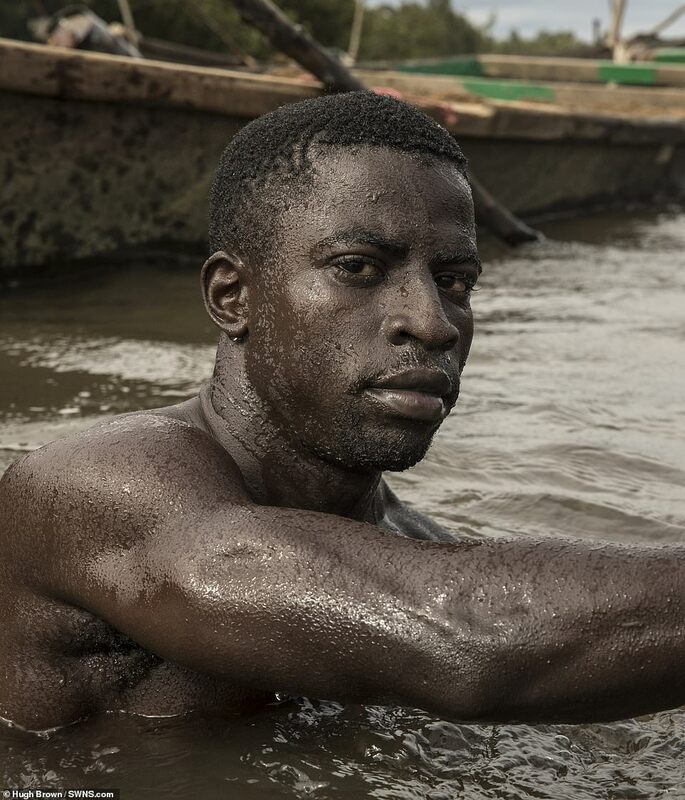 Exhaustion is another problem. 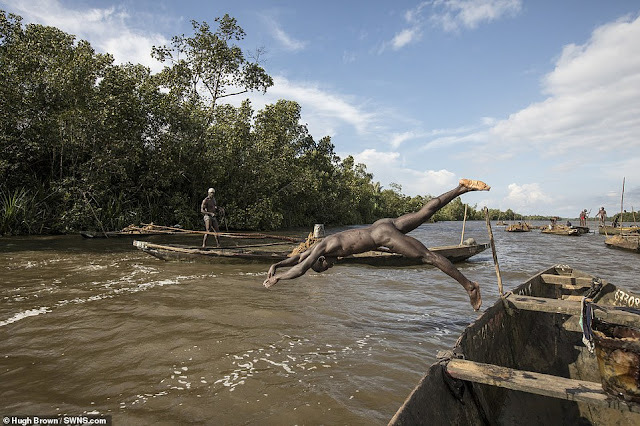 According to the photographer, the divers are sometimes so exhausted after filling a pirogue that they have no strength left to swim.